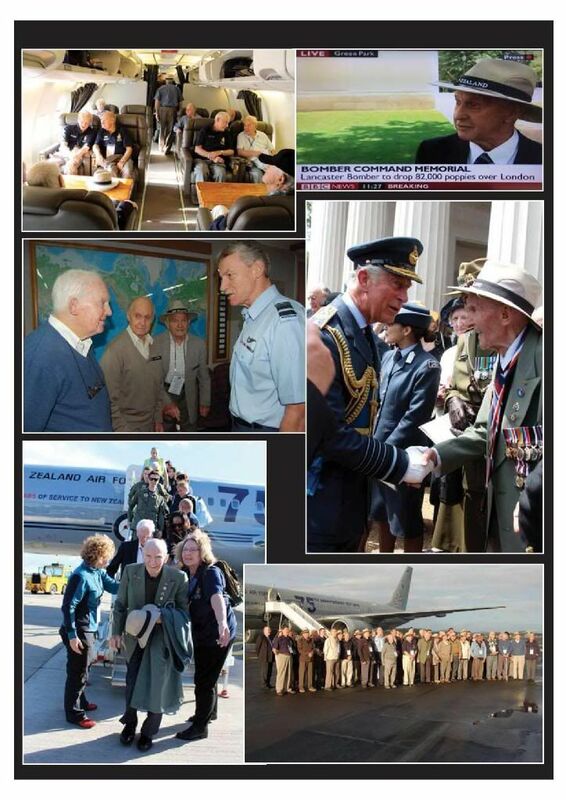 Peter Wheeler sent me though this link about the veterans who were made welcome at Whenuapai, well worth a read. That is fantastic news Peter. I'm in the UK 6 September - 4 October and plan on visiting all these places as well, I wonder if I will run into them along the way? That would be very special. The date I heard is 20th Sept, presumably that's when they fly out of NZ? 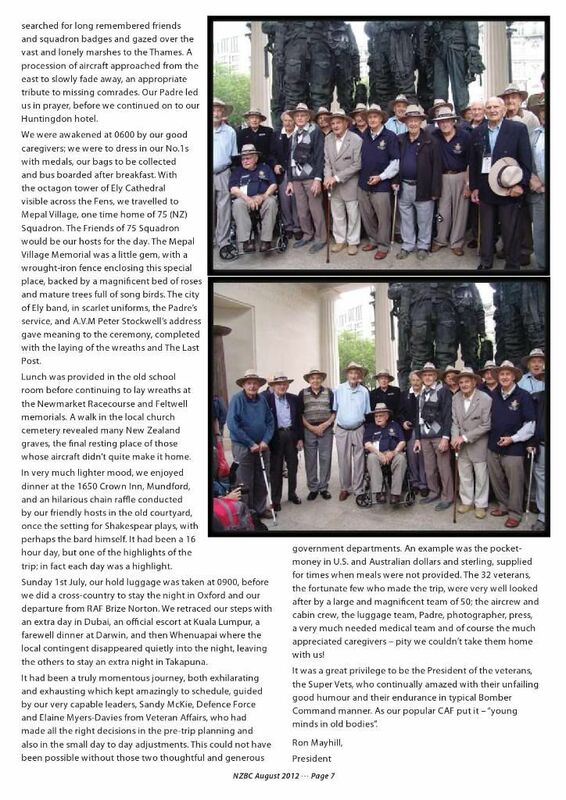 A very interesting newsletter there Peter, well done to all involved. Fantastic, well written, and well done! Thanks Peter. The Wellington commemoration on 26 Sept. seems to have been a little last-minute and under-promoted???! "Limited space" and none for widows or families .... disappointing. And unfortunate timing with the ex-RAF vets trip to London happening at the same time! The UK trip for ex RAF types was officially launched yesterday with TV , NZ Herald and other media present. 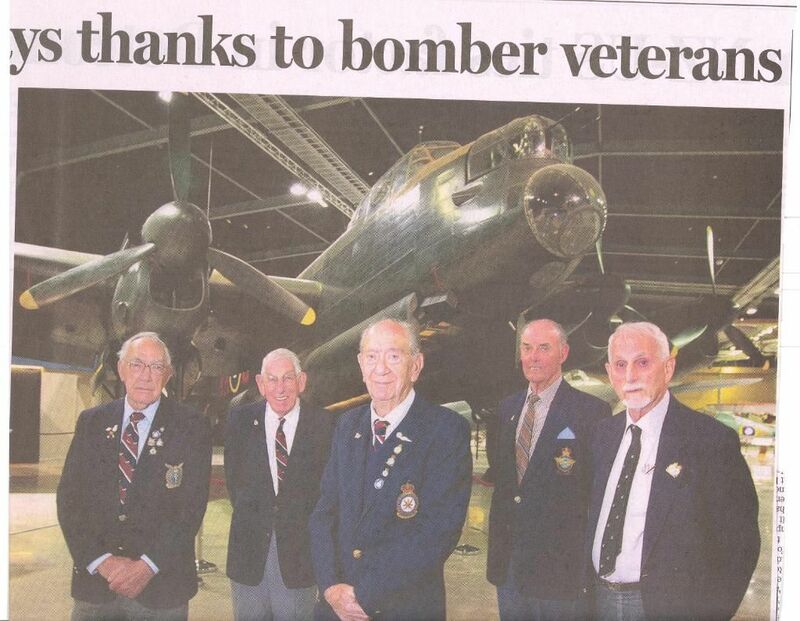 The veteran party is Des Hall F/E 463 Sq (RAAF ) ,Doug Williamson F/E 75 Sq shot down and evaded in France , RG Eddie Leaf 90 Sq, Harry Cammish F/E 50 Sq shot down and evaded over the Pyrenees.,Wally Halliwell , a Halton Brat ground engineer engines on Wellingtons , Stiirlings and Lancs . 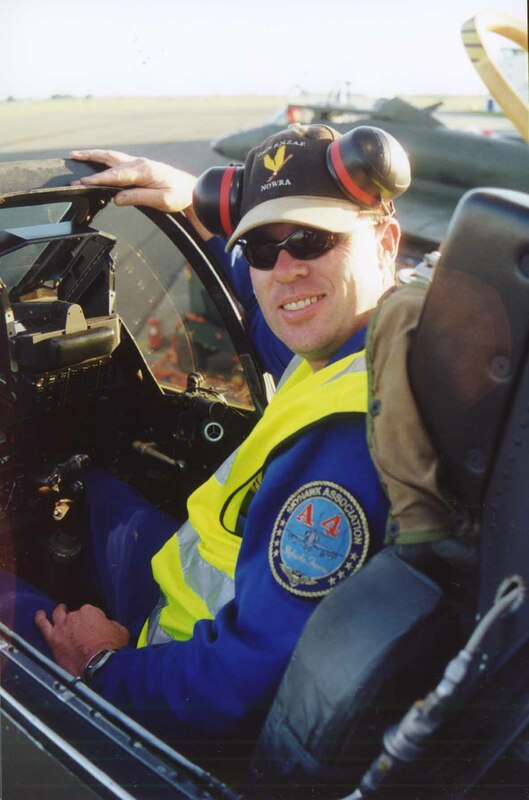 They will be led by Jon Pote , an ex RAF S/L and doctor on SAR squadrons who served in Vietnam and Iraq. 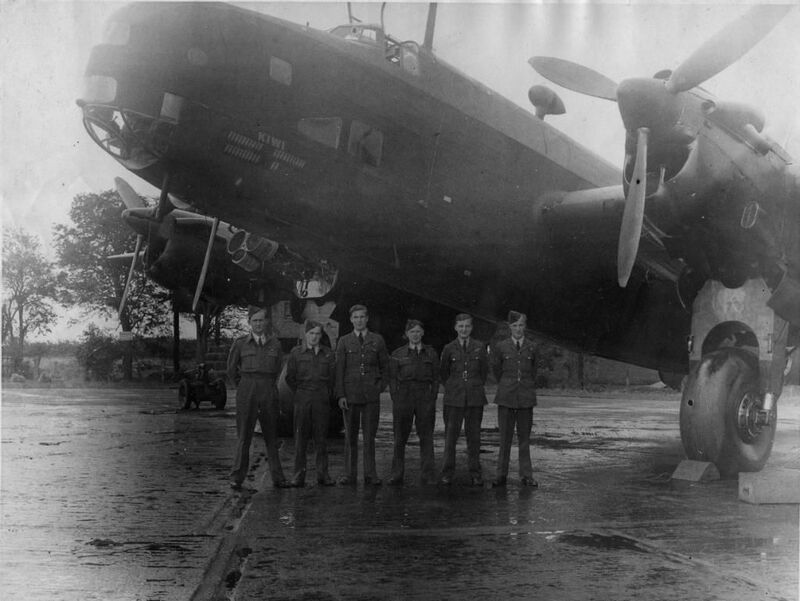 They leave on September 20 with a stopover in Hong Kong then onto the RAF Club in Picadilly. 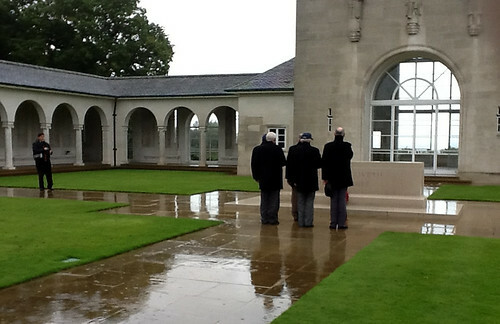 After the BC memorial , Runnymede, the RAF Museum in Hendon , then up to East Kirby and a run in the Lancaster. The tour finishes with a visit to the RAF Memorial Flight at Coningsby and a dinner at Petworth Hotel , the Dam busters old mess. Forgive the odd spelling mistake but you get the idea.The veterans partners will be with them for the whole tour. Ian Kuperus is the sponsor (NZ Tax management ) and has set aside many $$ for projects to thank NZ for his 10 years in business.It is an extremely generous gesture and he has the admiration of all those in our Association. 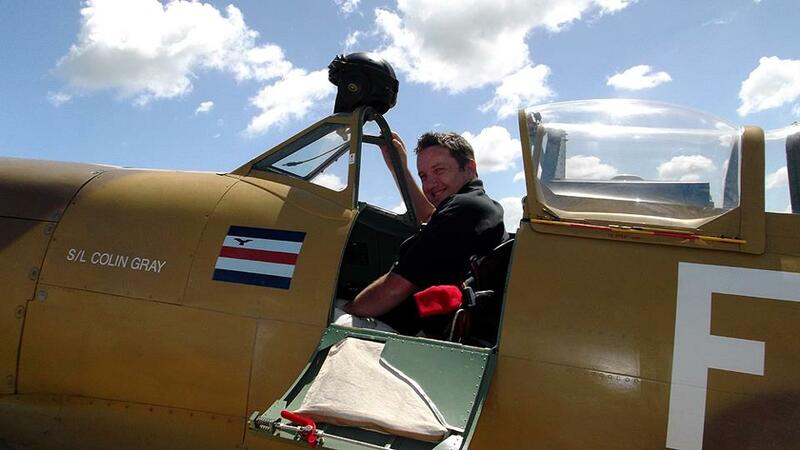 As you well know Chris its a pleasure working with our aircrew veterans ,,and an honour. Just today, visiting John Morris to add to our photo archive ,he was a trained fighter pilot ,but got fed up with waiting for a posting and went onto Bomber Command. His first op as a second dickie with 75 Sq ended in a bail out. After a few weeeks with the Maqui he walked out to meet the advancing US Army. After another HCU spell he went to 15 Sq to again be shot down on his 9th op. 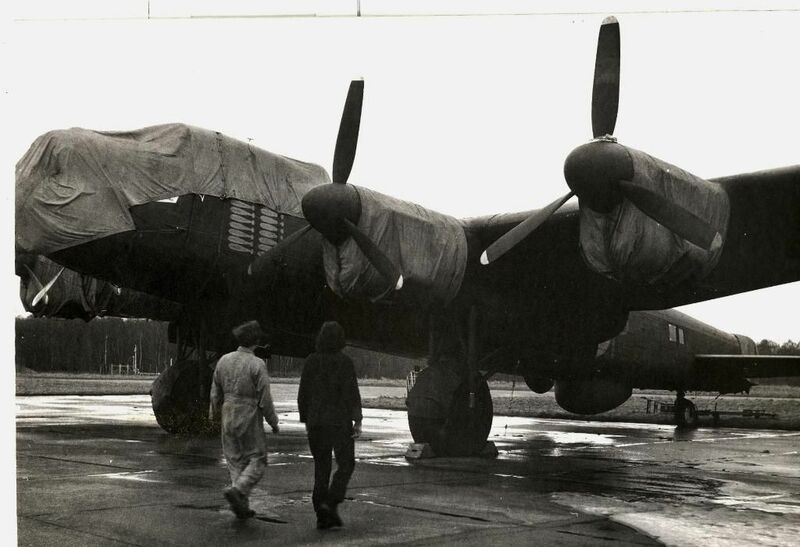 This time he was bagged and had to await the US Army again , this time in Munich. Obviously fed up with being a frequent parachutist he joined the Army and stayed until retirement. John is a first in my visits to Vets , being the only one shot down over Europe twice. A lot of laughs today but a sadness about the crews he lost , what a tale. His photos were beauties too. 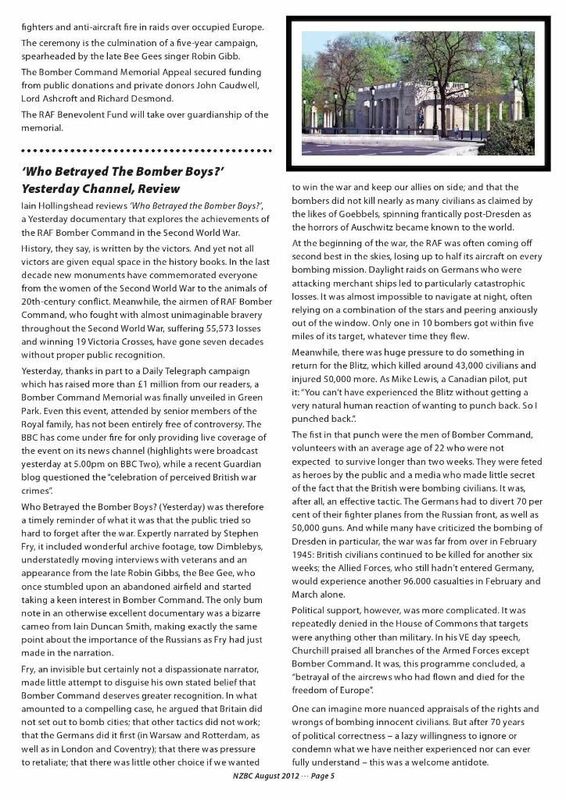 Jack Morris's story is on my website Peter, he was from Cambridge and I am the first person he talked to about his wartime experiences apparently. Later the Government historian Alison parr interviewed him for her book The Big Show and he told me she found out about him from my website. There is also a wee book about that first crash where his pilot and tailgunner were killed. I know his sister well. 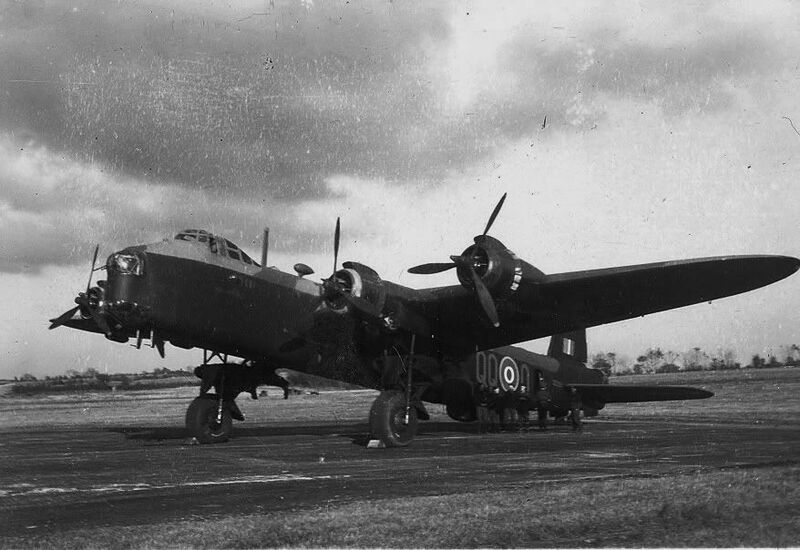 He had a brother and a sister in the RNZAF too. Great people. 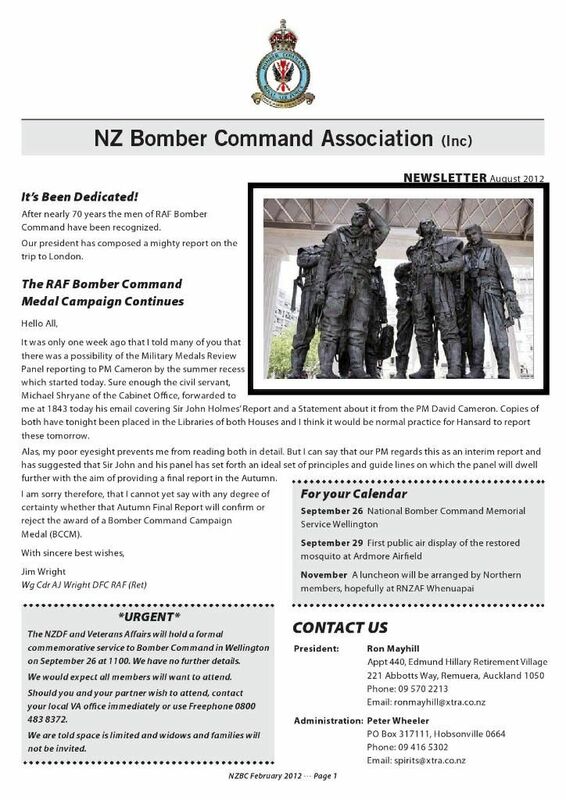 I'll be joining up in the next few days - I have always held what those Kiwi "bomber boys" did during 1939-1945 in the highest esteem, plus I will be able to forge a closer relationship with my great uncle who is one of the two VPs with the NZBCA (Frank Prebble). 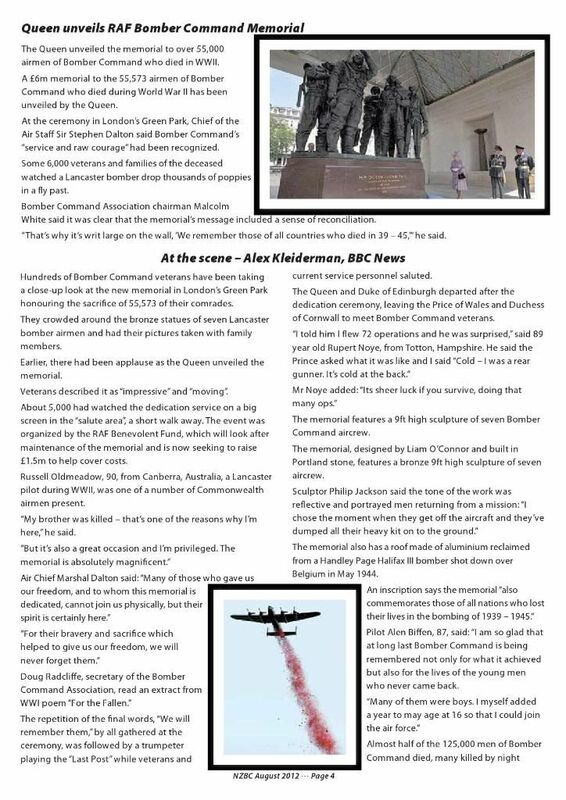 The NZ service for Bomber Command will be held at 1100 on 26 September at the Wellington Cenotaph. I am told that due to limited space only those veterans who had applied for London and werent able to go , have been invited. Hopefully there will be some TV coverage so our other 150 vets and families will get to see the parade and service. 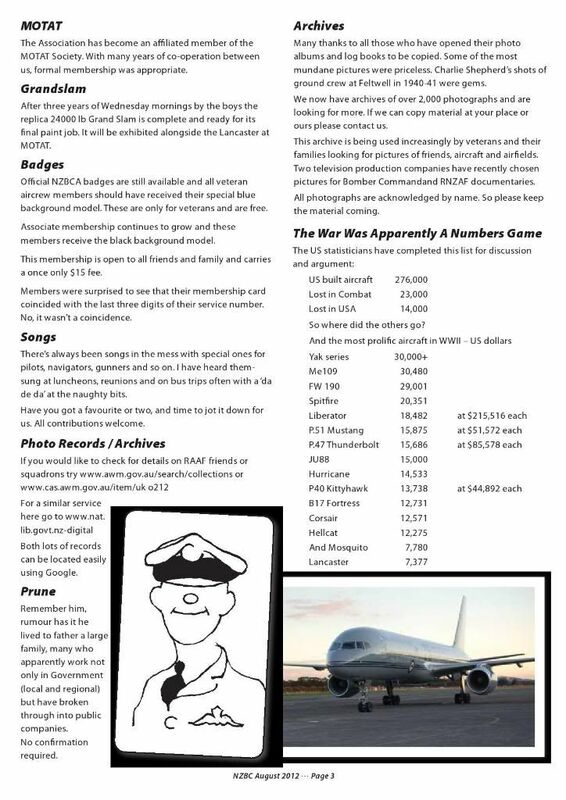 RAF and RAAF reps are expected but I havent heard about the RCAF . Jack had one favourite photo. Taken on October 30 at Bishops Court N.Ireland during a cross country stop over. The boys have all exited QQ-Q (1651 HCU Wrattling Common) to take a leak. 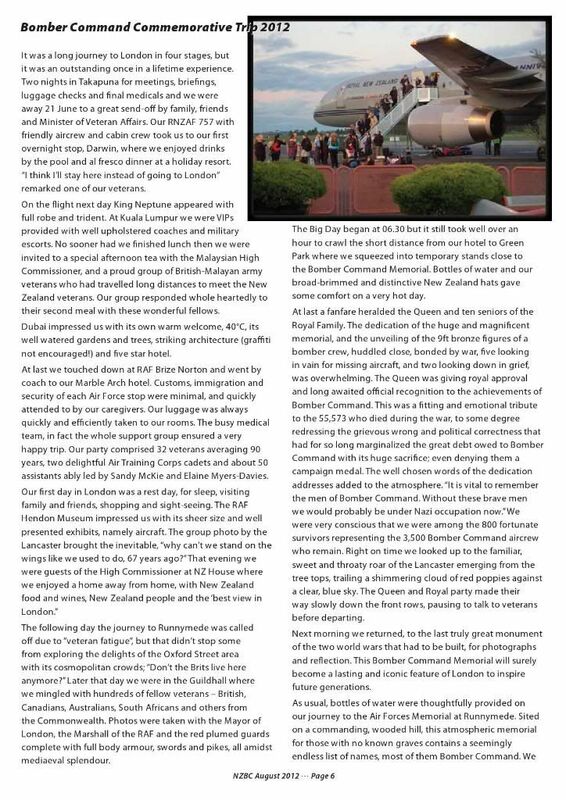 An excellent daily blog is being posted if anyone wants to follow the progress of the NZ Tax Management-funded RAF Veterans Bomber Command Memorial Tour, which flew out of Auckland last Thursday, and is now in London. Our own oggie2620 (Dee) has already met up with the group, having a particular interest in 75(NZ) Sq F/E Doug Williamson. Sounds like they are having a great trip! Either the path there is highly polished or they have struck the usual English weather? I would say its wet. You'd be right, monsoonal is what its been like. Theres a good stream of photos coming down which i will post . Yesterday was Runnymede and today a trip to the RAF Museum at Hendon. 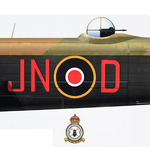 Tomorrow up to Lincoln and a vist to Wickenby , and Thursdy East Kirkby and a specially arranged run in NX611. Dinner at the old 617 mess at Petwood where they will have a formal dinner with cuurent 617 crews. Friday 28 to Conningsby as guests of the RAF Memorial flight and watch a Spitfire return from a sortie to RAF Westcott where many Kiwis trained at 11OTU. 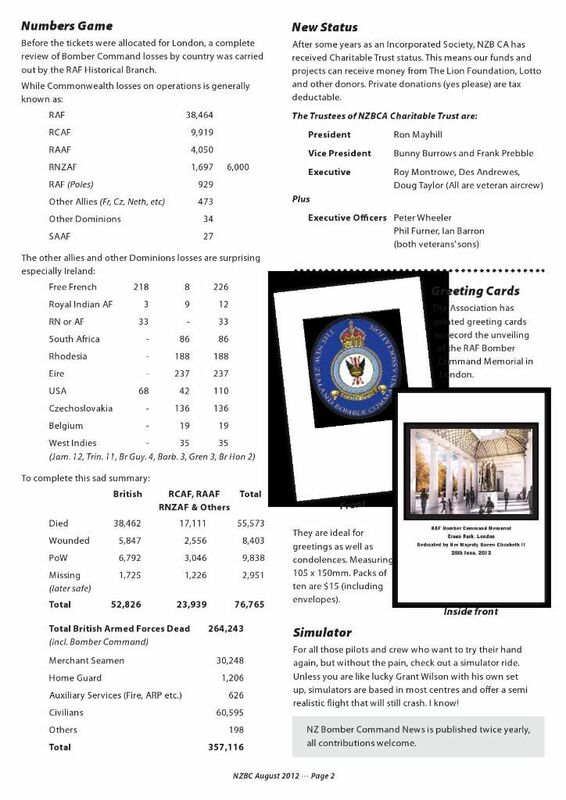 Back to HQ at the RAF Club in Picadilly and a couple of spare days until leaving Sunday. They arrive back on Cathay Wednesday 14th. A great trip thanks to Ian Kuperus of NZ Tax Management and many special moments for the boys.